Note: The majority of booking sites have all the information for air, car hotels as well as specials. Price of Travel is a database of travel costs in every major destination around the world, started in early 2010. The site now features over 200 cities, with information for each listing accommodation, transportation, attraction, food, and drink prices. Travel Agents search for what you're looking for. Search for fars or look fr rock-bottom tickets. 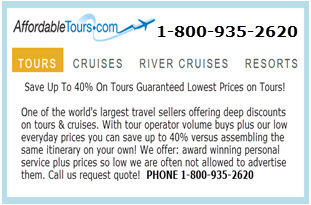 Deals on Air, Hotels & Vacation packages including Cruise Lines. Timeshare rentals available at four and five star resorts like Marriott and Hilton for less. Accommodations range from one to six bedrooms and our easy to use website allows you to narrow your unit search by price, location, and week. Brows airfares by contient, country, region to find deals that suit your needs. You can also earch for departures for "any Friday or "sometime this winter". Aggregator of fares and discounts searching multiple databases. E-mails you when better options open up on your scheduled depature. Full service travel search engine and booking site for air, hotels and cars. Full service travel search and booking site for air, hotels and cars. Free online consumer community, providing information, promotions and deals. Distributes news and latest offers from over 500 advertisers. 150 million reviews and growing. Hotels, attractions, flights and more. Best picks for each destination can be downloaded as your City Guide. Feed based approximately $335 annually. Watches your airfares and alerts you when the price drops , also monitors your ticket or hotel after you have booked- up to the day you depart. Should their be a price reduction, Yapta automatically helps to secure any rebates. Asia Pacific's comprehensive online travel company, empowering travellers to create their own journeys with online access to a wide range of travel products. Hotel booking and discount site specialty. often lets you secure the price and pay when you arrive - or cancel without a cancelation fee. Right now - hotel bookings as late as 2:AM on the night your arriving. Aavailable for North, South and Central America as well as Europe. Perfect for spontaneous layovers or getaways. Planning, cruise line links, destinations, group cruises. Search for the Best Cruise Deals. Online clearinghouse for discount cruises. A tool to make room reservation and the site will automatically get you a better rate at the same hotel or notify you about upgrades. Name our own price. You can save as much as 60% on hotels. airlines and car rentals. State what you wish to pay, enter your credit card details and wait and see if yhour offer is accepted. Search tool lets you search for seats to make sure your not giving up precious inches for lower fare. Skip the line for tickets to major local attractionsand museums. excursion to more than 1,500 locations across the world.